Background: The uprising in Xinjiang province is held by mainstream media to be an ethnic conflict between the minority, largely Muslim Uighurs (pronounced Wee-gers) and the majority Hans in Xinjiang province, western China. Its underlying impulse of "we can't take this any more" is considered to have been generated as a response to Han violence against individual Uighurs several weeks ago. 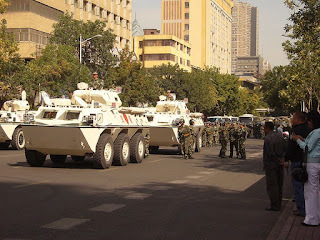 The city which has become the focus of the earlier violence and now the government crackdown is Urumqi. Planetary purification does not announce itself with a trumpet or a speech. It announces itself in the hearts of people who feel the expansion of light and, as a result, are motivated toward freedom, equality, love, and the pursuit of happiness for themselves and their loved ones. The expansion of light, however, also reveals formerly buried impulses of resentment, rage, and prejudice that hearts may have been holding that now, uprooted by the expanding force of light, seek expression within waking consciousness. Impulses to seek freedom and end oppression are founded on the innate desire for freedom and equality that lives deeply within the human breast. Such constructive impulses are strengthened by light whose movement always fosters the desire for greater wholeness, both without and within. However, light's action as it releases impulses of darkness into consciousness, can take the original impulses and transform them into external actions fueled by the awareness of separation, hatred, and that seek violence toward others as a means to an end. Both sets of impulses can and often do exist within any protest, and have existed in many areas of the world including in western China today. In a situation of protest, though the original impulse toward freedom and self-respect may be pure, it can be co-opted by forces of negativity that take the upward moral striving of the heart and turn it into something destructive and deadly. This is what has happened in the last few days in Xinjiang province, where long standing resentments by a religious and cultural minority known as the Uighurs toward the majority Hans produced violent action this week to end the oppression, discrimination, and violence that they felt leveled against them. The impulse to protest against injustice, discrimination, disenfranchisement, oppression can be built on the foundation of a heart that wants to live freely, peacefully, with respect, and with the ability to provide for one's basic needs and those of loved ones. Yet, the power of darkness is capable of corrupting such impulses so that they become filled with an injustice of their own, no longer pure in their motive, but vengeful, hateful, and deadly. As we view the world stage today from an inner perspective, we may see that despite their differing content, uprisings and protests are often related in their underlying motivation - in the swelling of the heart's sense of its own life-force that gives rise to the wish and need to act on its own behalf in the service of achieving greater wholeness. No matter what the external cause, the inner cause that fuels the desire for freedom, equality and the pursuit of happiness is light. No matter what the external cause, the inner cause that fuels the desire to seek revenge, to harm or wreak havoc on the lives or bodies of others is darkness and separation. Within any given situation, the impulse to act may remain faithful to the light at the heart or point of origin, or it may be taken over and used by negative forces to turn the will-to-good into something else. This, then, is purification in action and the movement into the new, witnessed recently in Iran and now in China. And though light will ultimately prevail, being inherently the stronger force, humanity will undergo a transition that is more or less peaceful, more or less difficult, depending on the balance maintained as the intensity of light-force and counter-force increase. May we, in the face of new energies arising from the depths of consciousness serve the good by doing good, and may we no longer give credence to the idea and premise that the ‘end justifies the means.’ The means and ends must be the same.